Fuel cell electric buses are making their mark in countries across Europe. And while these buses are proving their worth on a variety of climates and routes, there are still far fewer of them than there should be. So what can we do about it? How can we get fuel cell electric buses to a scale that rivals battery electric buses? We’ve identified five key conditions that need to be met in order to boost the presence of fuel cell electric buses from the tens and 20s, into the 100s. In this article, we’ll dive into them in depth. Today, the total cost of ownership (TCO) of a fuel cell electric bus is still on the high side. We’ve been making a lot of progress, so costs are going down—but there's still work to be done. Reducing the total lifecycle cost of the fuel cell itself is essential, as that’s a key element in the overall bus price. To help achieve this, Ballard has been working hard at the fuel cell module level to both improve product performance and reduce lifecycle costs. Our new generation of fuel cell stacks is the result of this effort. Additionally, Ballard is working with a number of bus manufacturers, including our European partners, Van Hool, Solaris, and Wrightbus. Together, we’re focused on better integrating the fuel cell with other elements of the bus’s powertrain. Our goal is to reduce the redundant components, while improving efficiency through actions like harvesting heat from the fuel cell to either heat up or cool down the passenger area. In this configuration, the heating and cooling systems will use less electric energy, and more thermal energy from the fuel cell. This will have a significant impact on the overall efficiency of the vehicle. Finally, a big component of a bus’s TCO is the hydrogen itself. Hydrogen needs to be at the right price. The good news is, it’s now possible to achieve that price through new business models where companies invest in the infrastructure in exchange for long term supply contracts. 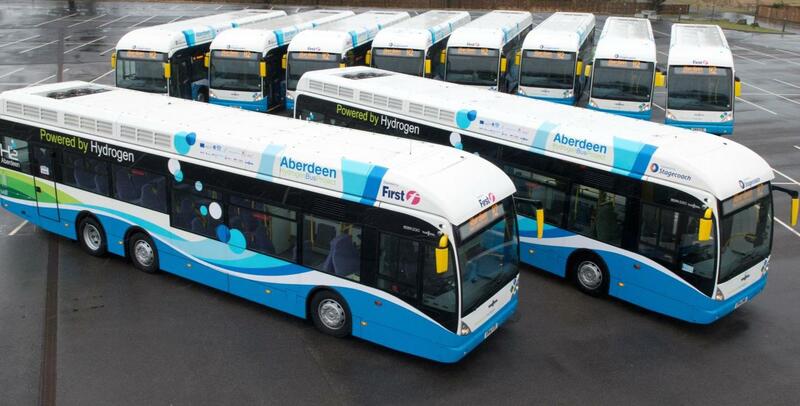 Those companies will build and operate the infrastructure needed to produce hydrogen, and sell it at a fixed price per kilogram to bus operators. With volume, the price of hydrogen could be less than six Euros per kilogram at the dispenser, all inclusive. With such a model, bus operators will have access to a clean fuel at parity with diesel. To give an example of how much this will affect the TCO, a cost reduction of one Euro per kilogram will have an impact of over €60,000 over a 10-year period. That’s huge. We need to be better at working together in order to offer an alternative solution to cities seeking a zero-emission transit solution. This will be essential in optimizing the overall cost. 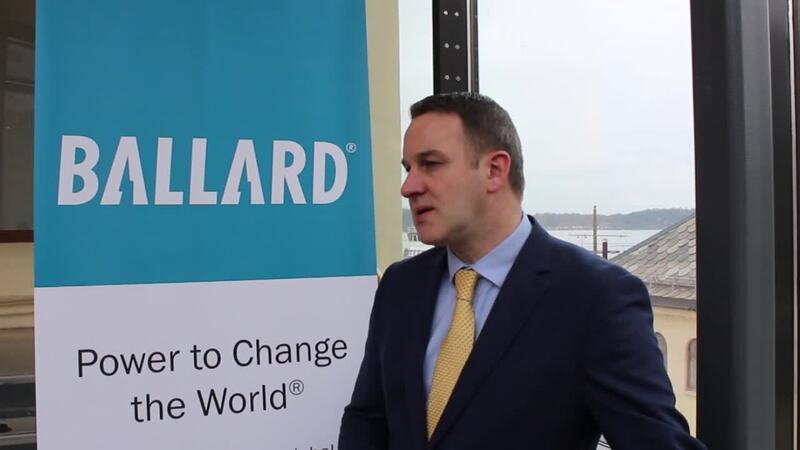 To meet that need, here at Ballard we’re forming partnerships with European supply chain and ecosystem stakeholders, including bus OEMs and hydrogen equipment suppliers for the production, dispensing, and distribution of hydrogen. The goal is to relieve cities from having to figure out how to put together the entire infrastructure. Presenting an integrated turn-key solution makes it much easier for them to evaluate the true cost. Together with our partners, we’ll provide a comprehensive end-to-end solution. The end result will be installation and operating efficiencies that make the fuel cell solution truly cost competitive. At the end of the day, our goal is to reduce emissions. A zero-emission vehicle is really only zero-emission if the fuel it uses is produced from renewable energy. We believe that hydrogen produced from renewable energy, like wind or solar, is the fastest path to the decarbonization of transportation. And it’s much faster than powering the buses with electricity from grid. After all, a grid is only as “green” as the power plants behind it, and in many parts of the world, power plants are still coal, petrol or natural gas. So as an industry, we need to work on increasing the volume of renewable hydrogen available to transit agencies. In doing that, we’ll enable them to achieve deep and total decarbonization. As new bus deployment evaluations are changing to a TCO-based approach, the business model will be shifting from upfront payment, to lease or loan payment. This applies to zero-emission vehicles and any new infrastructure that’s needed. We’re also seeing a shift away from government funding, and toward assisted financing. Currently, we’re still not in a phase where either financing institutions or vehicle leasing companies are comfortable with the price and risk associated with fuel cell electric buses. Instead, we need to work with government financing institutions like the European Investment Bank (EIB) and make them more familiar with the technology. As a result, these institutions will be more willing to finance hydrogen fuel cell buses as part of their portfolio of projects. One of the key issues is to define the vehicle’s residual value at the end of its life cycle. In actuality, the vehicle itself is not dead after 10 or 12 years on the road. This is because, at the end of the day, a fuel cell bus is an electric vehicle where the components inside of a fuel cell bus are the same components in a battery electric bus. Therefore, at the end of its life cycle, we can easily refurbish the fuel cell system, with current technology so it can run for another 10 years of active service. Alternatively a fuel cell bus can be retrofitted as a battery bus. We strongly believe that cities and local governments should not choose a technology. All they need to do is simply say they want a zero-emission bus solution. Then, they need to be open to receiving proposals on a number of available technologies, including battery electric, fuel cell electric, trolley buses, or any other zero-emission solution. Keeping options open means cities aren’t closing themselves off from a potentially better solution than what they’ve considered so far. Additionally, cities need to better understand the total cost of ownership which must include ALL external costs. These include the cost of the vehicle, as well as the operation, maintenance, fuel, and most importantly, infrastructure. It’s essential to take civil engineering work associated with the installation of new infrastructure into account. For example, battery electric bus depots may require a new power substation to charge the buses. The infrastructure investment could greatly reduce the economic viability of such as solution at scale. 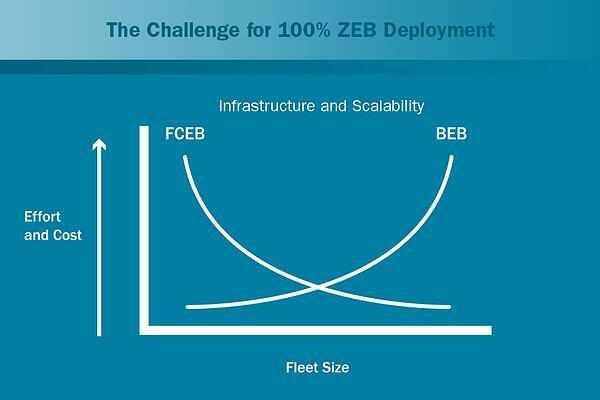 So when all the costs are compared, fuel cells can be very competitive—especially when you go to larger scale deployments of 50 to 100 vehicles. Europe needs more fuel cell electric buses to meet current route and service requirements, and meeting these five conditions is the way to get there. Because of the partnerships we’re forming at Ballard and the progress we’ve been making on cost reduction, along with the increased amount of renewable hydrogen, we believe fuel cell electric buses are already competitive with battery electric buses in some regions where renewable energy is available at a low cost. Let’s work together as an industry, as a community, and as a society to boost the presence of fuel cell electric buses in Europe. Let’s create cleaner communities for ourselves, and the generations to come. Download our report below to learn why combining battery and fuel cell systems in a hybridized configuration results in an optimized electric bus.